Manufacturers of some of the finest Wilton and Axminster Carpets since 1938, Ulster Carpets are a market leader in carpet innovation and still produce all their carpets from the original site in County Armagh, N. Ireland. 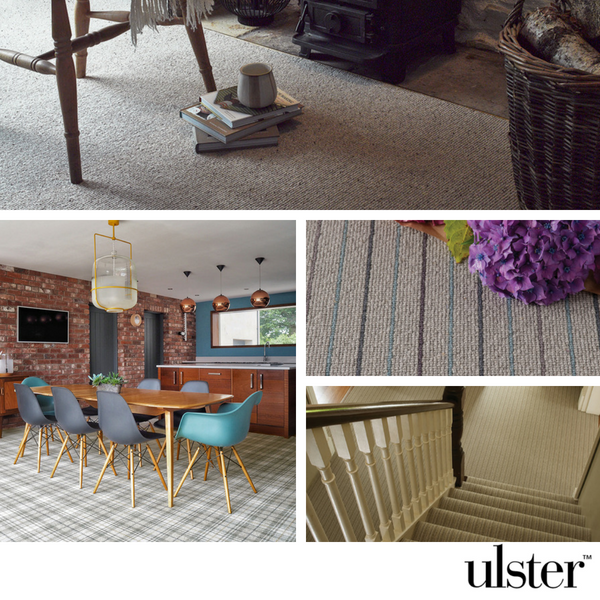 Ulster offer an extensive range of carpet designs from traditional Fleur De Lis and Tartans to Plains and Pin Dots which are all manufactured to the highest standards using only the finest Wool materials. At Bramley Carpets we have Ulster Carpet tombolas with extra large samples to show the true class of each carpet range, so please feel free to come in store and see them for yourself.